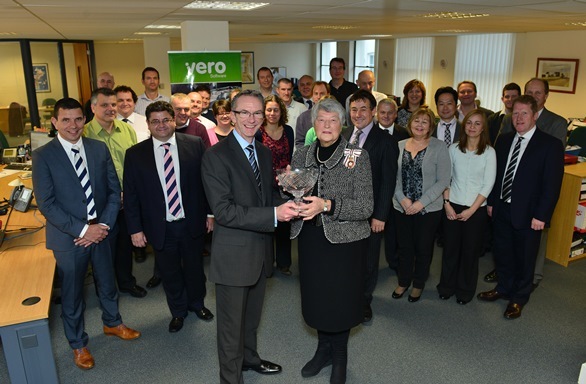 A Queen’s Award for Enterprise for Vero Software! It is its second such award within four years. The company produces computer software for the manufacturing industry. The latest award recognizes growth in export turnover by 218 per cent in three years to £34 million. Three quarters of sales by Vero, now one of the largest privately owned software business in the UK, go overseas. Customers range from multi-national companies to small firms. Vero has direct offices in the UK, Italy, France, Japan, United States, Brazil, the Netherlands and China supplying products to around 45 countries.